A BUILDING under construction in Buroh Crescent will look like any other warehouse, except for a remarkable design feature that will allow 16,000 standard-sized shipping containers to be stored on the roof. The ground-breaking idea is aimed at offsetting one of Singapore's main business costs - the sky-high price of land. Accommodating that many containers would normally take up a vast amount of space, which can make it very costly given the price of real estate here. Logistics firm Cogent Holdings' rooftop storage facility uses overhead bridge cranes to lift and stack containers - a design idea it has patented. Industries that would take up sprawling acres in other countries are forced here to redesign processes and reconfigure production layouts to adapt to land constraints, but companies like Cogent say the long-term cost savings outweigh these hefty investments. This is just one example where industrial landlord JTC has been working with firms on intensifying land usage. JTC said its approach to encouraging industrial land intensification among companies differs slightly depending on the firm's size. Cogent's new building, which integrates container storage and other warehousing services, will occupy about 6ha - about a third of the space needed for a normal container depot and an accompanying multi-storey warehouse. The facility, which will replace Cogent's existing 12.8ha container depot in Jurong Port Road, is expected to be completed by the end of the year at a cost of $152 million. "When we relocate, it'll free up the land in Jurong Port Road for other uses, and also help us save costs because we no longer have to pay for so much land," said Cogent deputy chief executive Benson Tan. He added that the difficulties in obtaining space here and competition in the logistics industry spurred the company to develop a more efficient facility - a process firms in other industries are also adopting. At another firm, Continental Steel, its three-storey warehouse cost $27.5 million to build in 1997 - a princely sum given that the Asian financial crisis was raging at the time. Besides being a more efficient way to store structural steel, the facility also helped the firm integrate three warehouse sites into one. Structural steel sections - which can weigh a few tonnes apiece and are as long as 12m - are usually stored in large open yards. This method is not only land-intensive, but also exposes the steel to Singapore's frequent rain and humidity, which can result in rust formation. 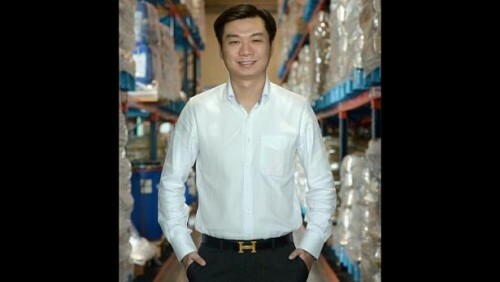 This prompted the company to develop its multi-storey covered warehouse, believed to be the only one of its kind in the world, said director Melvin Soh, who has not encountered any similar structures on his visits to steel mills and suppliers elsewhere. The significant outlay has paid off for Continental Steel - the facility helps maintain the quality of its steel products, allows work to continue regardless of the weather and yields productivity gains from the use of one storage space instead of three. JTC's focus for home-grown small and medium-sized enterprises (SMEs) is to transform businesses to reduce land use - for instance, by consolidating multiple sites into one or moving from land-based to high-rise facilities. It also plans to help more firms move into high-rise spaces, through the development of facilities with industry-specific needs. One of the projects on its drawing board is a system that will shift the transportation of industrial goods and freight off roads, into a centralised system within an industrial park.